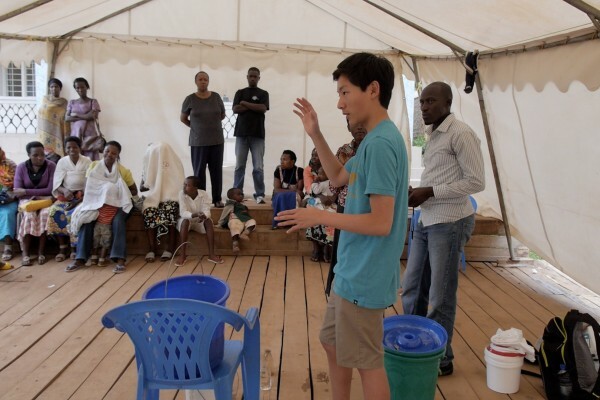 Filter demonstration in Kigali, Rwanda. 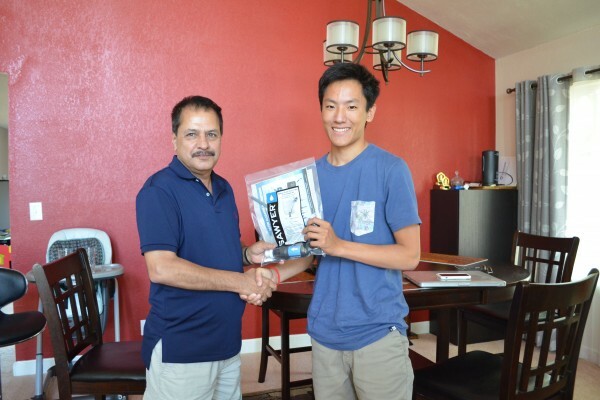 Cole with Mr. Mahesh Bhattarai, founder of General Welfare Pratisthan, Kathmandu, Nepal. 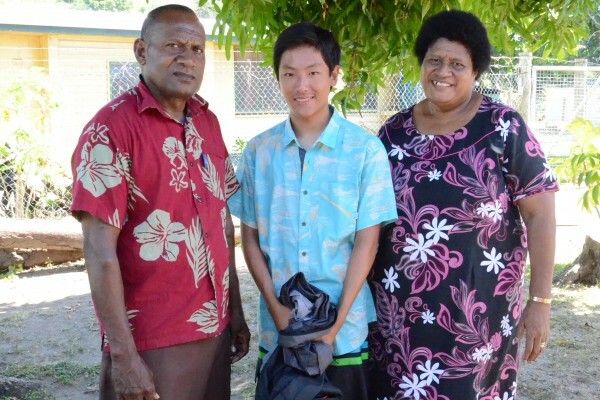 Solevu, Fiji: Tevita (Chief Maker), Cole Kawana, Mere Wai (Chief's Wife). 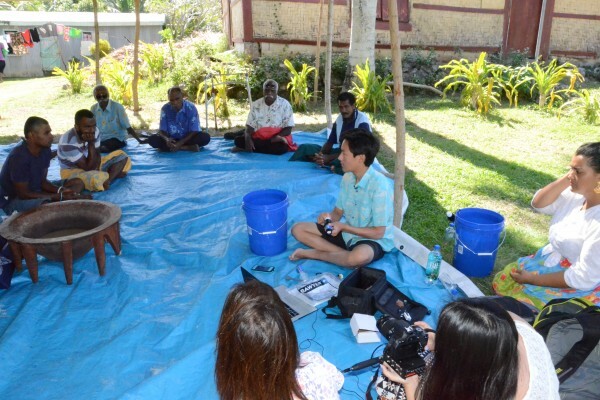 Cole meeting with Fijian village elders. 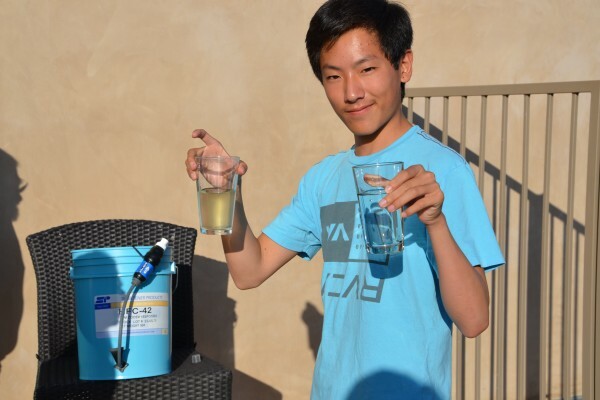 Cole Kawana is the founder of Clean Water Ambassadors Foundation (CWAF) and is dedicated to providing people access to clean drinking water, one bucket at a time. 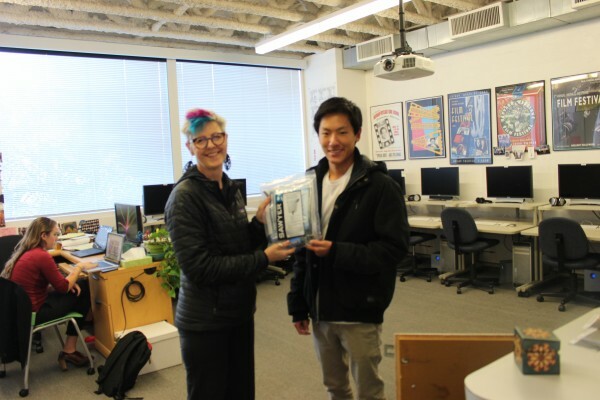 Cole has personally delivered 84 filters; 12 to Rwanda and 6 to Fiji, 6 to Cambodia and 60 to earthquake ravaged Nepal potentially providing up to 8,400 people with clean drinking water. Under Cole’s leadership CWAF has delivered over 230 filters to 20 organization in 13 countries providing clean drinking water to over 23,000 people. 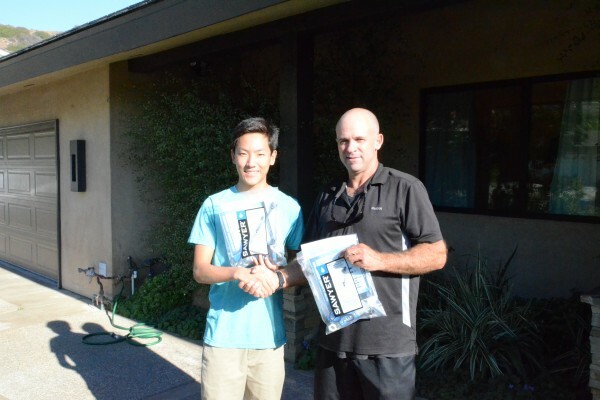 Cole Kawana is a student at Harvard Westlake High School, Los Angeles, CA. His life was forever changed after a trip to Rwanda where he traveled to learn about the 1994 genocide. Prior to the trip, he discovered that in addition to recovering from a devastating genocide, the country faced a common problem of many developing nations around the world – a lack of clean water. So when Cole went to Rwanda, he brought water filters and taught people how to use them, creating clean water for an entire village. He was so inspired by the resilience of the friends he made there that Cole founded the Clean Water Ambassadors Foundation. Through Clean Water Ambassadors, Cole hopes to share with others the powerful experience gained by delivering clean drinking water to those in need. Cole’s idea is to establish connections with reliable nonprofits, worldwide. These strong relationships will ensure the proper distribution and maintenance of water filters delivered by Ambassadors. 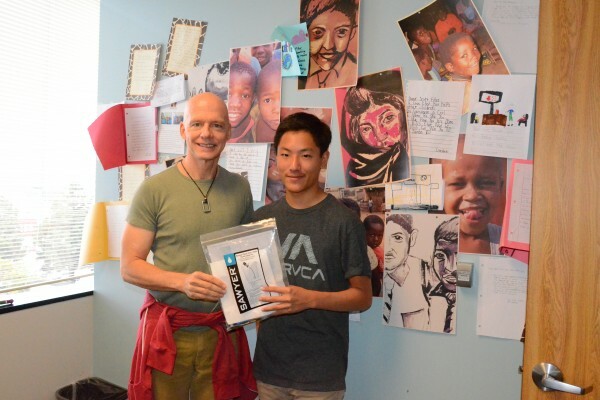 Cole delivered filters to the Fijian village of Tau and a school in Solevu, Fiji. 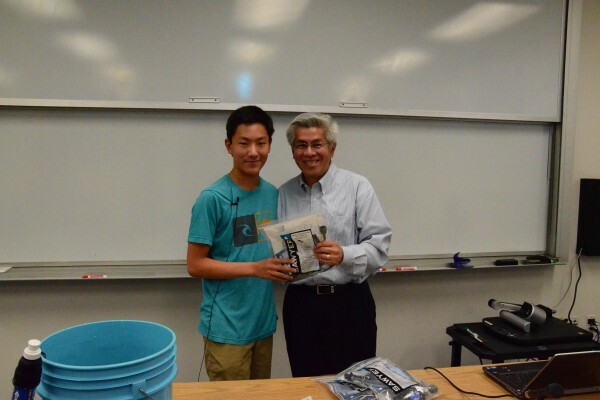 He also delivered filters to Rwanda that are providing clean water to two women’s cooperatives, a school for the deaf, and several primary schools. Cole hopes that finding clean water will never be a problem for the people who receive his water filters. 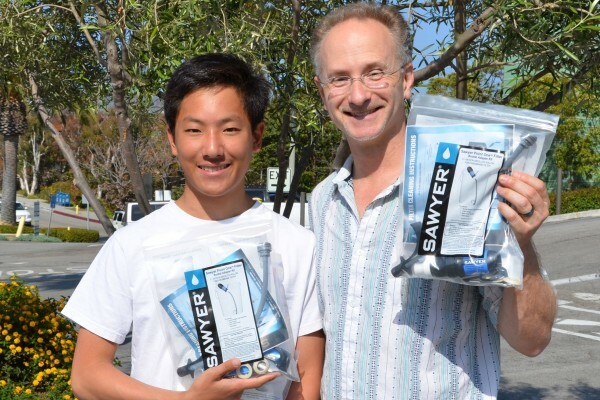 Learn more about Cole and his projects with the Clean Water Ambassadors Foundation below. Read the Network for Africa article about Cole.